For decades, scientists have tried and failed to prove the existence of the Loch Ness Monster. However, while inconclusive evidence remains unattainable in reality, Scotland’s legendary creature resides in the murky waters of Apex Legends. Curiously, there’s a surefire way to summon Nessie, if you follow all of the right steps. In the brief video walkthrough featured above, GamesRadar has detailed exactly how to awaken the creature. 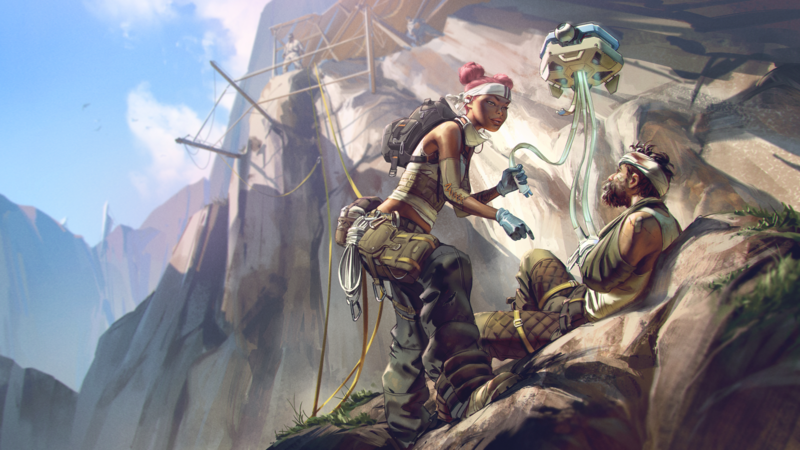 Apparently, the growing community behind Apex Legends discovered the Nessie Easter egg in less than a day after the game’s surprise launch. But there is not just one monster to find. Ten Nessie figurines are hidden across the map, all of which must be destroyed in a specific order. The best way to get them all in one run is by having a full squad of three. This way, the duties of dispatching the figurines can be divided amongst multiple players. Additionally, communication reigns supreme. Loch Ness Monster figurines after the first will not appear until previous Nessies have been shattered. Once all ten of the little Nessies are dispatched, the Loch Ness Monster herself will rise from the waters east of Apex Legends‘ swamp region. Apart from slowly surfacing, then sinking back down into the body of water, she doesn’t do much else. Too bad finding proof of Nessie’s existence in reality isn’t as easily accomplished. The Loch Ness Monster is bound to give players yet another reason to swarm to Respawn’s latest foray into online gaming. Within a week of its launch, the free-to-play battle royale game had already achieved a player-base of 25 million, making Apex Legends an instant success for both Respawn and Electronic Arts.